Go beyond Sleeping Beauty and Cinderella Some princesses are well-known to all children--but others, equally magical (and sometimes, a lot funnier) have remained anonymous, mysterious, and far from the fairy-tale crowd. Now these captivating ladies are finally stepping out of the shadows where they've remained hidden for far too long. With wit, sublime humor, and beautiful art, The Secret Lives of Princesses introduces a bevy of royal daughters to the court of young readers. While it alludes to some of their more famous sisters, this large and lusciously illustrated compendium presents such unique and unforgettable characters as the petite Princess Claire Voyant, who can see very far into tomorrow (but muddles her predictions); Princess Oblivia, who forgets everything and misses all her appointments; Princess Tangra-La, who does the tango, the fandango, and any dance that comes her way; and Princess Babbling Brooke, who chatters on and on about everything and nothing. 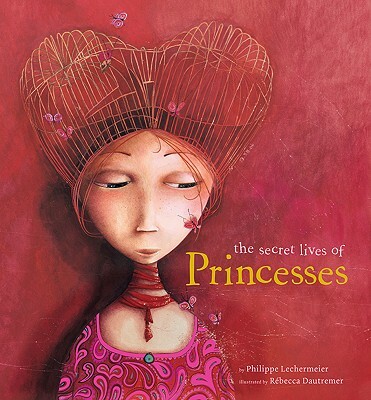 Plus, you'll learn about such princessy matters as the language of fans; coats of arms; and how not to offend dangerous fairies who cast evil spells.Poetic, often humorous, and always enchanting, this is the perfect collection for princess-loving girls who long for more than just the traditional fairy tale.